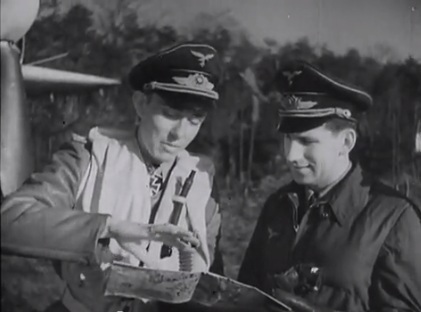 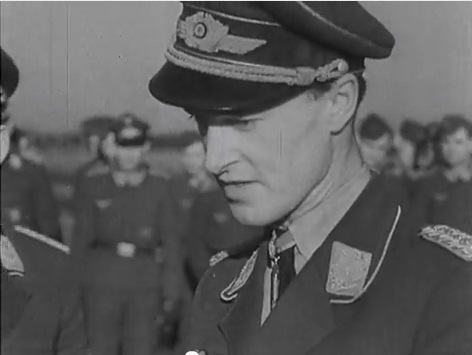 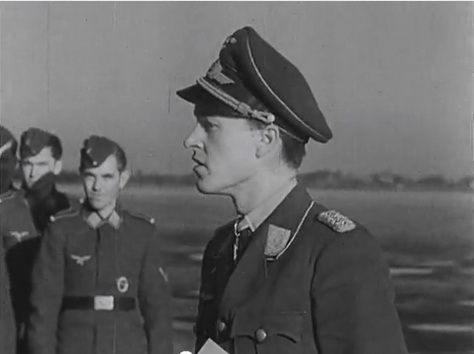 Lt. Alfons Köster disembarks from his aircraft and is then seen (below) in conversation with another RK-holder, probably Major Paul Semrau, Kommandeur of II./ NJG 2. 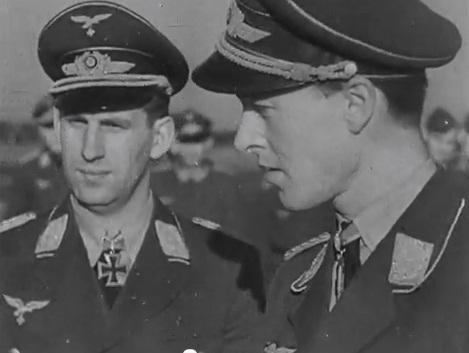 Köster was killed when his machine hit a farmhouse while attempting to put down at Varel-Obenstrohe on 7 January 1945. 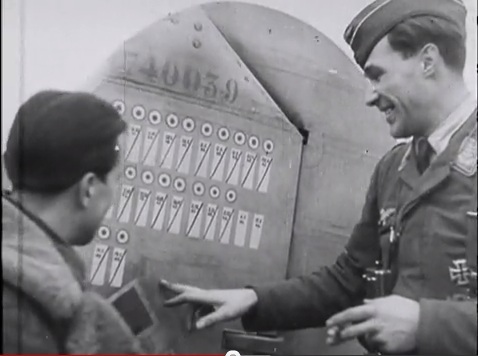 He had achieved 26 night victories. 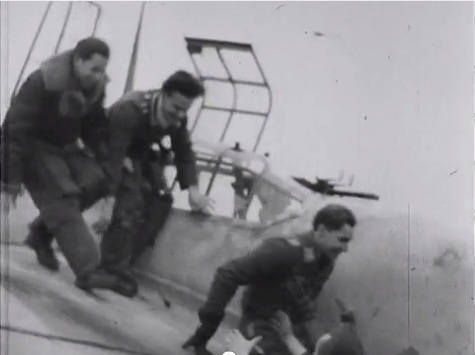 Semrau was shot down and killed by Spitfires the following month.
" 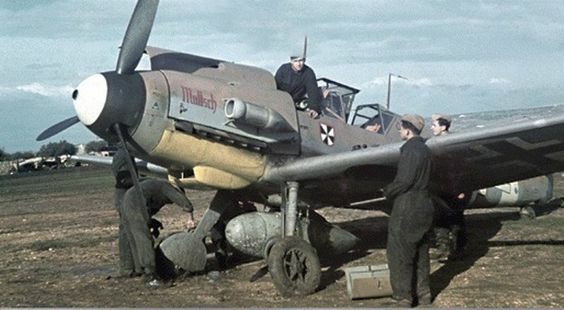 ..die Machinen sind wieder startklar gemacht....the aircraft are prepared for their next sortie.."
... As Gruppenkommandeur II./ NJG 5 Hptm. Leopold Fellerer claimed two USAAF heavy bombers by day during January 1944. 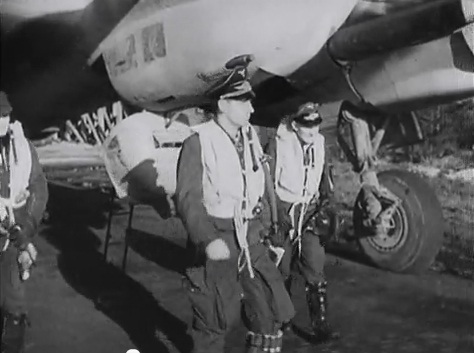 He then claimed five RAF bombers during the night of 20-21 January 1944 and these Wochenschau film stills depict his return from that sortie during the early morning of 21 January 1944 (above and following stills..). 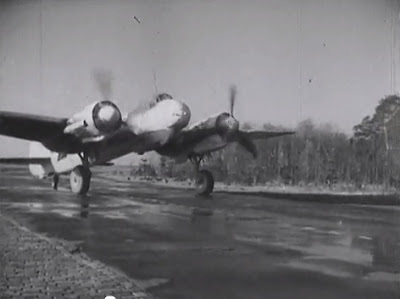 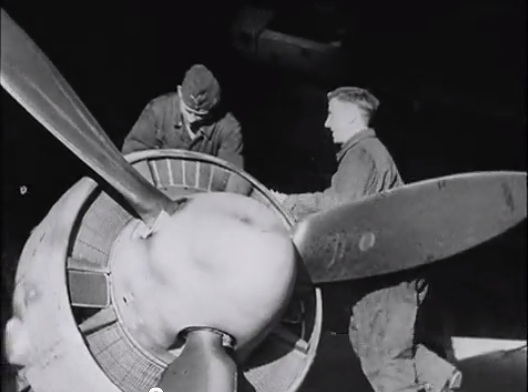 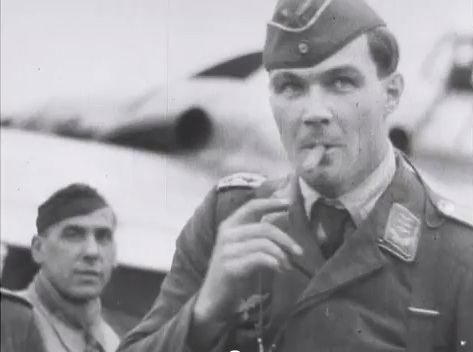 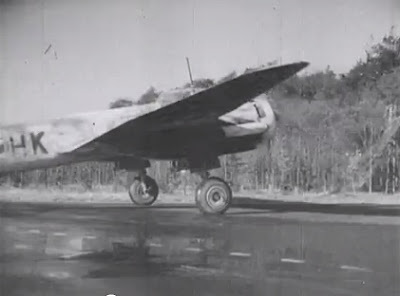 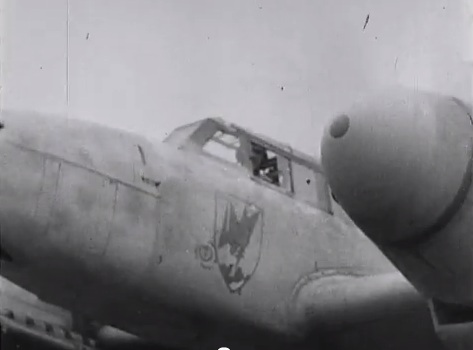 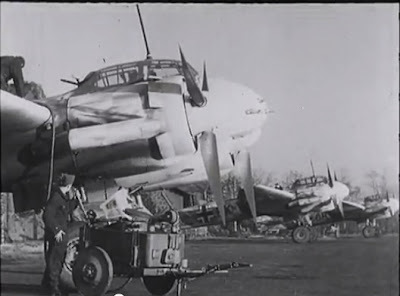 Filmed on taxying in at Parchim, his Bordschütze Uffz Arthur Schopf hastens to help the successful Gkr. 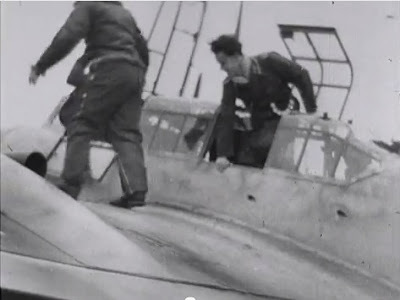 out of the cockpit of his Bf 110 G-4. 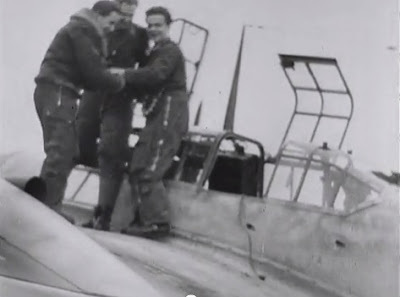 The Geschwaderkennung of NJG 5 'C9' is briefly visible ahead of the fuselage Balkenkreuz as the crew dismount. 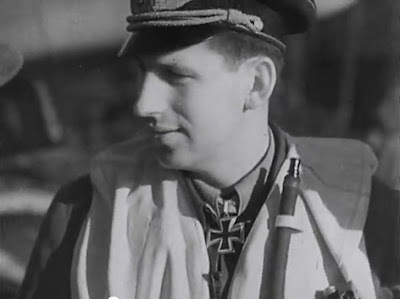 Fellerer then poses alongside his rudder marked with his then-total of 22 victories. He was subsequently awarded the German Cross in Gold in February 1944 and the RK for 34 victories in April 1944...according to the commentary "... that cigar tastes good.."